What happens when your boat dock begins to show its age? Years of use, sunlight and extreme temperatures can take its toll on your dock system. If you have a boat dock with a solid structure boards that are deteriorating, now is the time to re-deck it with Titan marine decking. It’s the easy and affordable solution that will extend your dock system. All our dock decking boards are available in standard sizes that fit most docks. They also come in three popular styles, so you can choose one that best matches your waterfront surroundings. Simply screw the boards to your existing boat dock system frame. Just like that, you can upgrade your boat dock with a brand-new look that will make your neighbors jealous! Made of 100% polypropylene plastic, Titan Deck marine decking comes with a 12-year limited warranty. That means our boat dock materials can take all you and the elements can throw at it. Tested in temperatures ranging from -25°F to 120°F (-32°C to 49°C), Titan marine decks can handle  year-round conditions wherever you live. Titan decking will never rot, warp, dent, splinter or bend and never needs painting or staining. UV protected to minimize fading, Titan dock decking keeps cool even in hot summer temperatures. Titan Deck is also safe. Our plastic dock boards are molded with a knurled surface to prevent slipping, even when the surface gets wet. Contact a dealer near you to see how Titan Deck can be retrofitted to your dock system or boat pier. 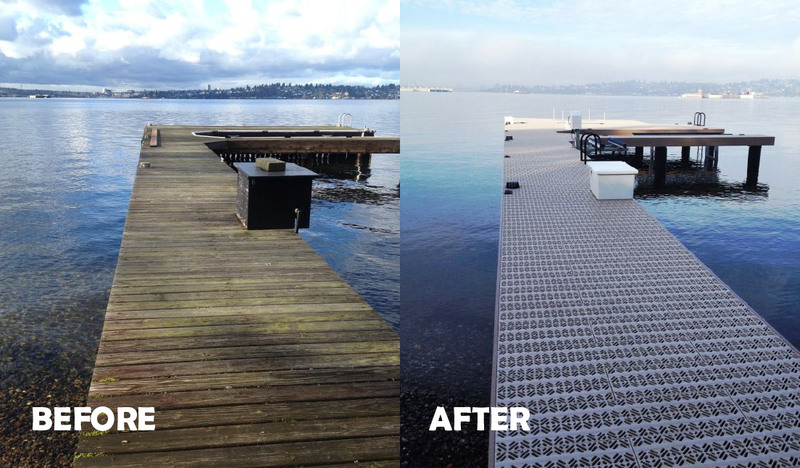 Give your boat dock a face lift with Titan decking. 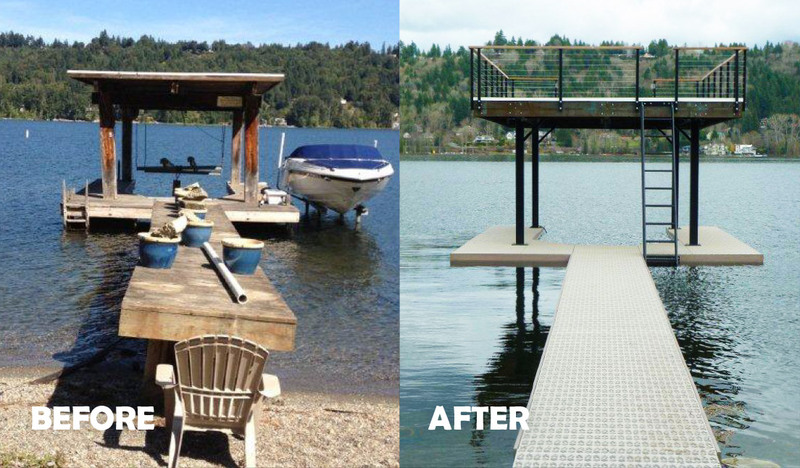 See what a difference Titan decking can make to your lake dock.